In the 10+ years we’ve been working with white-collar/nonviolent individuals, families and organizations before, during & upon reentry from prison, this is our simple belief and conclusion: Those who adopt a spiritual solution evolve and cope more successfully than those who do not! 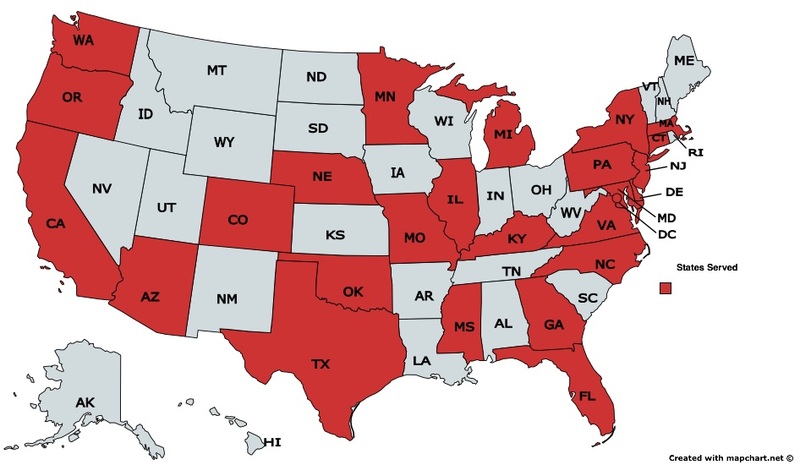 Since Jan. 2015, we have served individuals and families in twenty-five states, including: Arizona, California, Colorado, Connecticut, Florida, Georgia, Illinois, Kentucky, Maryland, Massachusetts, Michigan, Mississippi, Missouri, Nebraska, New Jersey, New York, North Carolina, Oklahoma, Oregon, Pennsylvania, Texas, Virginia, and Washington. We communicate with these families before, during and upon reentry from prison in person or by phone, email, Skype, FaceTime or GoToMeeting, or via CorrLinks if in a Federal prison. Our experience shows us that the overwhelming majority of individuals and families with white-collar/nonviolent incarceration issues of us are suffering in silence with shame, remorse, and deep regret. Many of us have been stigmatized by our own families, friends and communities, and the business community. Our mission is to form, nurture and grow a new integrative and supportive community of individuals, families and organizations with white-collar and other nonviolent incarceration issues, shepherding them with care, compassion and empathy through the entire criminal justice process to new and transformed lives of dignity, respect and authenticity. Confidentiality. As clergy, our communications and counseling are strictly confidential. For this reason, we are often the first people that families call when they are ready to end their isolation and reach out for help. This is also a major reason that many attorneys, parole and probation officers, etc. allow their clients to maintain relationships with us. Overview. Unlike most attorneys, prison coaches and prison consultants, we take a long-term approach to the individual and family’s health, happiness and well-being – our calling is to see individuals and families all the way through the process to authentic, dignified and productive lives. Pastoral Care/Spiritual Counseling. Utilizing our professional backgrounds and real world experience in religion, law, business, reentry, addiction & mental health recovery, family work, social ethics, and advocacy, we are the only organization and ministry in the country created and committed to guiding individuals, families and organizations. We engage in direct pastoral care in person and by telephone/ Skype/ FaceTime/ GoToMeeting/ mail/ email (many Federal prisons now have email). Prison Consulting, Preparedness & Readiness. We have strategic partnerships with and oversee the most ethical, compassionate and effective prison coaches and consultants in the country, so that together we can provide all the practical and spiritual steps for survival and success in prison, and throughout the journey. Family Counseling. We have dedicated staff and volunteers specifically dedicated to the needs of innocent spouses, families and children. Women’s Incarceration Issues. The fastest growing sector of white-collar incarceration issues, we have an advocate who specializes in women’s needs before, during and after prison. Sanctuary & Refuge. We are a safe and secure place of sanctuary, privacy and refuge where individuals and families can discuss matters of shame, ostracism, grief, remorse, etc. with complete confidentiality, and can learn, grow and evolve into the spiritual beings God intends for them to be. Substance Abuse, Other Addictions & Compulsions, Mental Health. Not only do we collectively possess decades of experience in recovery and reentry, but we partner with the very best drug and alcohol counselors, interventionists, MSW’s, therapists, psychiatrists, psychopharmacologists, etc. Expert Testimony. We can provide expert testimony services to criminal defense teams to assist them in presenting a truthful and balanced package to the court. Utilizing our unique and unparalleled bios, we can also document the individual’s and family’s fresh start in writing, and in testimony before the court. Pastoral Care/ Spiritual Counseling. For those in prison, we engage in direct pastoral care in person and by telephone, CorrLinks, and mail. We meet with spouses and family members to assist them through these difficult, critical times. Clergy Visitation. Many prisons afford clergy special visitation privileges such as one-on-one private sessions in private attorney/clergy meeting rooms, access on non-visitation days, etc. Family Counseling. We know first-hand how difficult it is for families to be away from their loved one – and for the incarcerated to be away from family. We provide consistent and continual assistance throughout the darkest days of incarceration. Funds Assistance/ College Scholarships. American Baptist Churches USA has awarded us a grant to provide one-time stipends to individuals or families with white-collar or nonviolent incarceration issues to be used for short-term expenses and for college scholarships. We continue to seek out other compassionate benefactors. Reentry Preparation. Working with some of the best known reentry nonprofits in the country, we start the reentry and reintegration process long before release. Pastoral Care/ Spiritual Counseling. It comes as a shock to most people that their return home is actually the most difficult part of the process. Poorly managed and unsafe halfway houses, home confinement, embarrassing ankle monitors, parole and probation officers who may or may not be kind, dramatic career and financial changes, families in upheaval, loss of old friends and family, etc. This is the time most need to rely on us and our growing community of similarly situated fellow travelers. White-Collar/Nonviolent Support Groups. We have founded the country’s first confidential online white-collar/ nonviolent support groups. As these support groups are being run by clergy as part of a program of pastoral counseling, we consider them to be confidential and privileged. Advocacy/Community Building. We are at the forefront of building and advocating for an integrative, supportive community of individuals, families and organizations with white-collar issues who were living in isolation and suffering in silence. We offer opportunities to all to help and lead in this noble endeavor. Wrap-Around Reentry Services. We have access to and work with some of the best reentry nonprofits in the country, who can provide behavioral services for emotional issues, drug and alcohol counseling, domestic violence, soft-skills training, housing, etc. And many accept Medicaid for approved services. Pardons, Clemency, Commutation of Sentence. We believe that individuals and families should start focusing on reentry, life after prison and a pardon from the first moment of the process. Certainly not everyone will obtain a pardon, but life will continue to evolve and grow more successfully by engaging in a Culture of Pardons. Each state has its own rules and procedures, as does the Federal government. We work with state and Federal pardons/clemency experts to ensure the best results. Career Counseling and Placement. Certainly, this is one of the topics that most concerns individuals and families from the outset and throughout their journey. We have assisted many in the daunting process of letting go of the old life, getting into radical acceptance of the new reality, thinking through the endless possibilities, overcoming both internal and external obstacles, and implementing a new career plan. Many employers, who might otherwise not give a felon a second chance, will entertain referrals from clergy. We are working with world renowned executive and outplacement specialists to develop an integrative white-collar career rehabilitation program. Coming soon! Volunteerism. We have found that service to others is not only the most effective method to grow, evolve and transform, but also gets us out of our own prisons of self. We advise all to obtain meaningful volunteer positions as soon as possible, and help place individuals with charities and nonprofits throughout the country. Boards. It is our honor to have served on a number of criminal justice/prisoner reentry-related Boards including Family ReEntry, Bridgeport & New Haven, CT; Community Partners in Action (formerly the Connecticut Prison Association), Hartford, CT; and Healing Communities Network, New York, NY. Jeff has also served on the Editorial Board of the book, The Justice Imperative: How Hyper-Incarceration Has Hijacked the American Dream, Southport, CT, and on the Advisory Board of the Phoenix Association, Guilford, CT, Reentry Survivors, LLC, Bridgeport, CT, and Creative Projects Group, Los Angeles, CA (Kahlil Gibran’s “The Prophet”). Lynn has served on the Boards of Pathways, Greenwich, CT and the International Aids Charitable Foundation, New York, NY, as an active volunteer at Friends of Nick, Bronx, NY and Reentry Ministry, Bridgeport, CT, and as a Deacon & Senior Deacon at the Second Congregational Church, Greenwich, CT. Awards. Jeff was the recipient of the Elizabeth Bush Award for Volunteerism ’12, and the Bridgeport Reentry Collaborative Advocate of the Year Award ’13, ’14 & ’15 and Professional of the Year ’16. JustLeadershipUSA recognized Jeff as one of fifteen “National Leaders in Criminal Justice.” Jeff has been invited to attend the prestigious Collegeville Institute spiritual writing workshop at Louisville Seminary, fall ’16. Speaking Engagements. We have spoken at some of the most important and influential venues in the United States, including The Nantucket Project, Nantucket, MA; Greenwich Leadership Forum,Greenwich, CT, the Corrections Ministries and Chaplains Association (CMCA) Correctional Ministry Summit, , Wheaton College, IL; Salons at Stowe, Harriet Beecher Stowe Center, Hartford, CT; Union Theological Seminary in the City of New York; Yale Divinity School, New Haven, CT; and many prisons, reentry programs, houses of worship and other venues. Media. Articles featuring our ministry have appeared in Forbes, Inc., The Huffington Post, Absolute Return/ HedgeFund Intelligence, Business Insider, New York Magazine, Fairfield County Business Journal, Reentry Central, Weston Magazine Group, Weston Forum, Greenwich Sentinel, Greenwich Time, The Hour and others. We have also been interviewed on radio and television programs. Social Media. We are a major presence in criminal justice reform on Twitter, Facebook, Linked In, Pinterest, Google+, Tumblr, Instagram, etc.